Addis Ababa, which in the Amharic language means: „New Flower”, is the largest city in Ethiopia and also the capital city of this country. 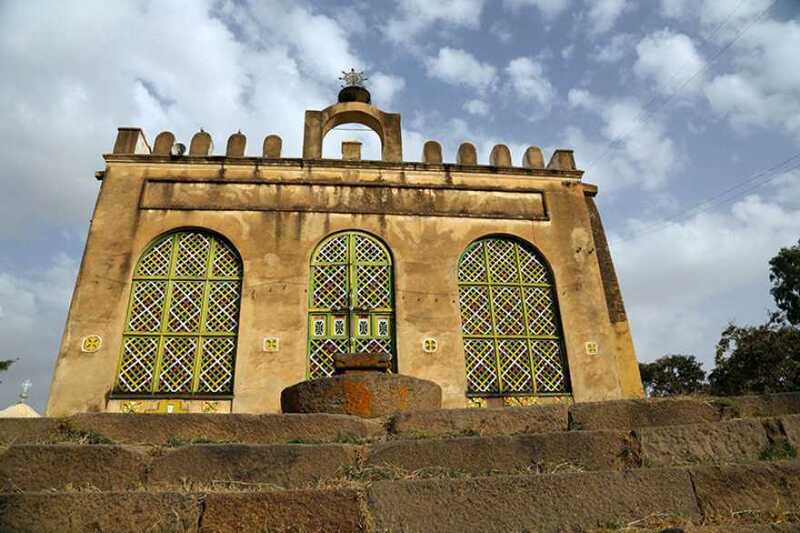 It is situated on the Ethiopian Highlands in the center of the country at the altitude of approximately 2400 meters above the sea level. This is one of the highest-situated capital cities in the world. After the fall of the Kingdom of Axum, the kings from the Zagwe dynasty transferred their residence to Lalibela, the south-east of Axum. There, they erected a flourishing and densely-populated capital city, the residence of their Middle Age dynasty. 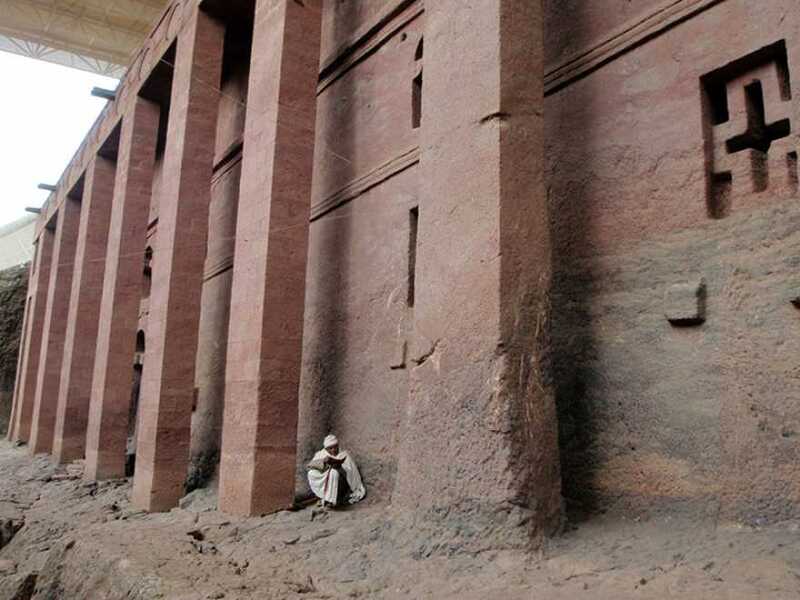 Lalibela, previously known as Roha, was called in this manner to commemorate the King of Lalibela from the end of 12th century. The city was established as New Jerusalem. In that historical period, travelling on pilgrimages to proper Jerusalem was impossible, because the lands between Jerusalem and Ethiopia had been conquered by Muslims. 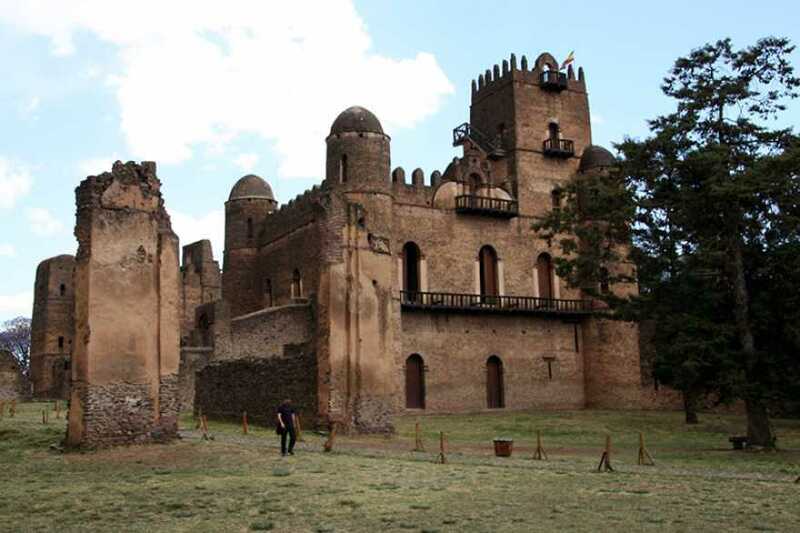 In 16–17th century, this fortified city used to be the residential town of Emperor Fasilides of Ethiopia and his successors. 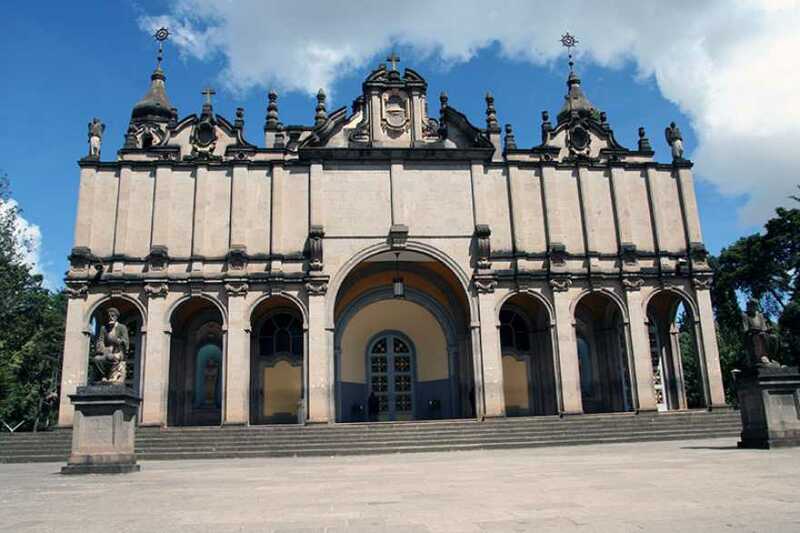 It is surrounded by the walls the length of which amounts to 900 meters, and inside them palaces, churches, monasteries, public utility buildings and private houses can be found. 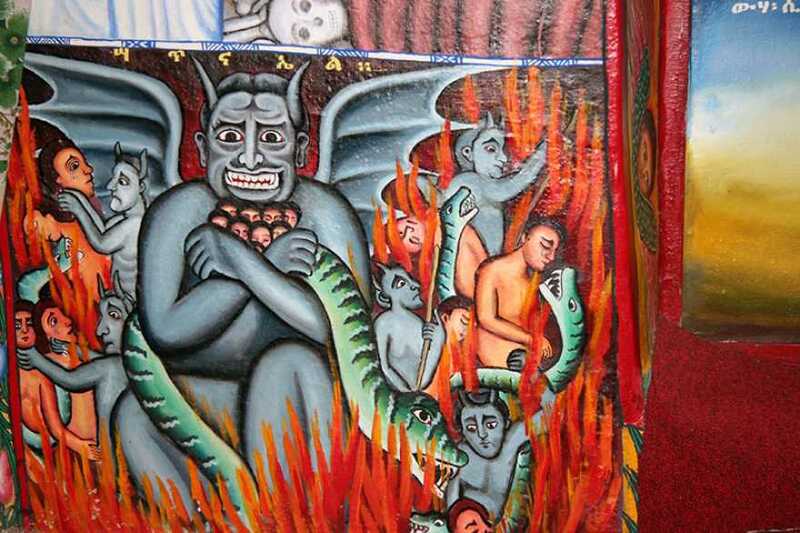 Lake Tana & Blue Nile Falls: Lake Tana, the largest lake in Ethiopia, situated north of the beautiful town of Bahir Dar is the source from where the famous Blue Nile River starts its long journey to Khartoum and to the Mediterranean via Egypt beautiful paintings. Surrounded by the desert and savannah, the fortified city of Harar is situated on the plateau, cross-sectioned by deep gullies. It is known as the fourth holy city of Islam. In it, 82 mosques (out of which number, three date back from 10th century) and 102 houses of prayer have been erected. The origins of the Kingdom of Axum in 5th century BC are most frequently accepted as the event commencing the history of Ethiopia. In the times of its greatest prosperity, the Kingdom was maintaining political and commercial contacts with the civilizations of Greeks and Romans, and also with India and China. 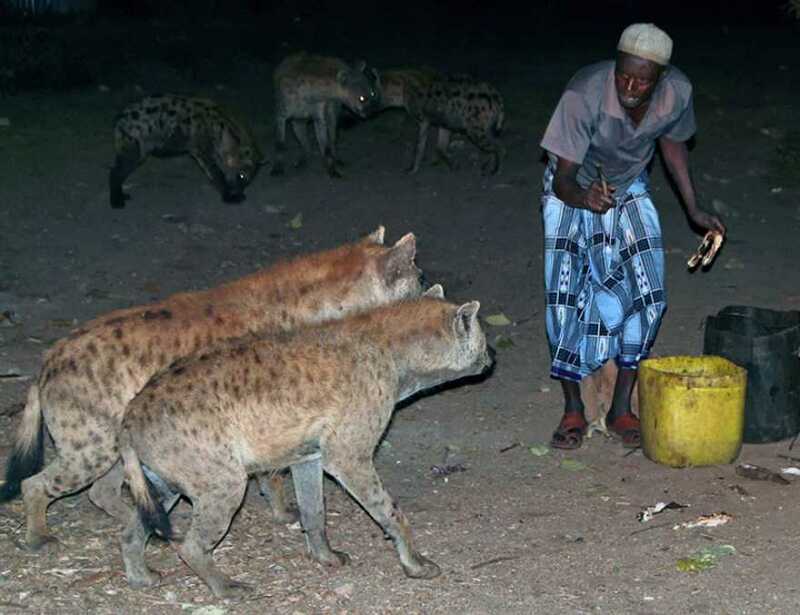 Danakil Valley (Danakil Depression) is one of the least known regions in Ethiopia. It is a part of the Great Rift Valley, to which it owes its exceptional geological shaping. It is still difficult to access, with no tourist infrastructure, but provides impressions that can make every effort to reach it worthwhile. 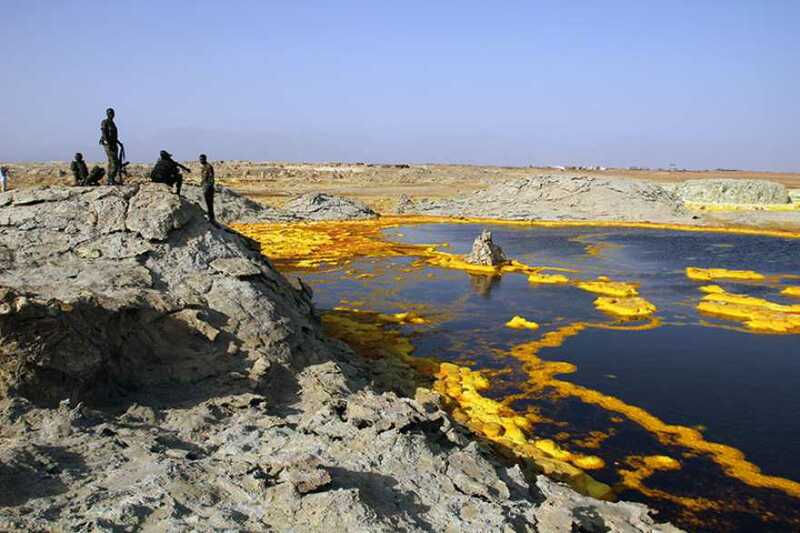 Dallol (116 metres under sea level) is a part of Danakil. This place is considered as the lowest located place in Africa, and at the same time, one of the hottest places on the planet with average temperatures amounting to 35 degrees Celsius.